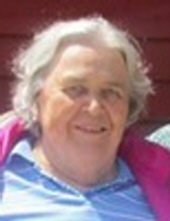 Mary Jean (Lewellen) Golden, 81, was born August 14, 1937 in Lewistown. She passed away in the loving care of the Central Montana Medical Center on January 15, 2019. She was a loving mother, family member, and friend. She was an educator, researcher, writer, counselor, artist, gardener, and lifetime learner. Mary Jean was raised in Central Montana with her older brother Chuck and younger sisters Bettelee "Bobbie" and Dianne. As a child she attended the Chippewa (one room school house) and Grass Range elementary schools. She moved to Lewistown in the seventh grade and graduated from Fergus High school in 1955. She participated in FHA (Future Homemakers of America), GAA (Girls Athletic Association), Thespians, Latin Club, Rifle Club, 4-H, Lincoln elementary to coach youth recreation. She played basketball and baseball. She lettered as an instructor for grade school recreation. She became a fantastic seamstress during her time in 4-H. She was also a great swimmer and lifeguard and taught swim lessons in many locations to include the Lewistown pool. She then went on to get her teaching certificate and a bachelor’s of science in general studies at Montana State College in Bozeman in 1960. Mary Jean was a teacher, coach, guidance counselor, and school psychologist in Montana and worked in many schools including Lewistown, Roy, Big Sandy, Bridger, Belfry, Red Lodge, Poplar, Belgrade, and Butte. She was also an artist and had her own ceramic kiln creating all sorts of treasures for loved ones. She continued her love of water and built her own canoe with the help of Lewistown local Harold Slater. She built the canoe base wide enough to use as a sailing boat and took many people out on excursions. In 1970, she married Anthony Golden and gave birth to her daughter Roberta Dianne the following year. Although the marriage did not last, her love for being a parent was her top priority. Mary Jean worked hard to include her daughter in so many learning opportunities to include culture, sports, the outdoors, art, and education. One of her favorite events was to take her daughter to Red Lodge’s Festival of Nations to learn the different cultures and history. They never missed Shakespeare in the Parks when a play came to town. When her daughter was involved, Mary Jean never missed a single competition, concert, or game. In 1992 she was involved with the Billings Arts Association and took more creative writing courses. As the internet moved into popularity, she learned how to adapt and created communities for people to have a voice. She loved history, and her communities were called “What did you do during the War, Gramma” and “What did you do during the War, Grandpa” as well as “We are Montana Metis.” She enjoyed creating a community for people to speak to one another about their experiences as we were all learning to use the internet in our lives. Mary Jean also loved plays, and chose to help revive the Judith Mountain Players in Lewistown which originated in 1950. Her vision was to keep the mood and tradition alive of the experimental rural theater and perform locally written plays. At one time she started a group called “The Lewistown Outwriters” and has since made efforts to keep the local writers’ group alive and well for many years. She was also instrumental in bringing the Verbal Visual Exchange to Stanford and Lewistown almost 30 years ago. In 2003 she started to publish some books. She received a grant to write “1879 Metis Trek to the Judith Basin.” She also published other books to include “Policepersons,” a lovely science fiction book that includes things which are familiar to her that include family, science, ranching, and her silly sense of humor. She also wrote another book called “Nailing Down Montana” to include her short sketches and poetry. Some of these books will be available at the funeral. She was the chair for the Local Mental Health Advisory Council (LMHAC) for Fergus, Wheatland, and Judith Basin Counties. She also was a strong supporter and went to several meetings to support the Eastern Service Area Authority (ESAA). The ESAA’s primary purpose is to ensure that consumers of public mental health care, their families and other interested community stakeholders may actively collaborate with the State of Montana in defining, developing, managing and monitoring the systems of public mental health care. Mary Jean loved getting together with family and friends and would never want to miss an opportunity to play a game of pinochle. Her great sense of humor, good natured self, and lifetime learning will be greatly missed. She loved her community and Lewistown loved her back. Her family is grateful. Mary Jean is preceded in death by her parents, Charles and Grace Lewellen and her brother, Charles “Chuck” Lewellen. She is survived by her daughter, Roberta “Bobbie Dee” Golden of Olympia, Washington; her sisters, Bettelee “Bobbie” Cox of Forest Grove, and Dianne Ostermiller of Powell, Wyoming; and sister-in-law, Janet Lewellen of Lewistown. Funeral Services will be Saturday, January 26, 2019 at 2pm at St. James Episcopal Church. A reception will follow immediately at the church. After the reception, inurnment will follow at the Lewistown City Cemetery. To send flowers or a remembrance gift to the family of Mary Jean Golden, please visit our Tribute Store. "Email Address" would like to share the life celebration of Mary Jean Golden. Click on the "link" to go to share a favorite memory or leave a condolence message for the family.